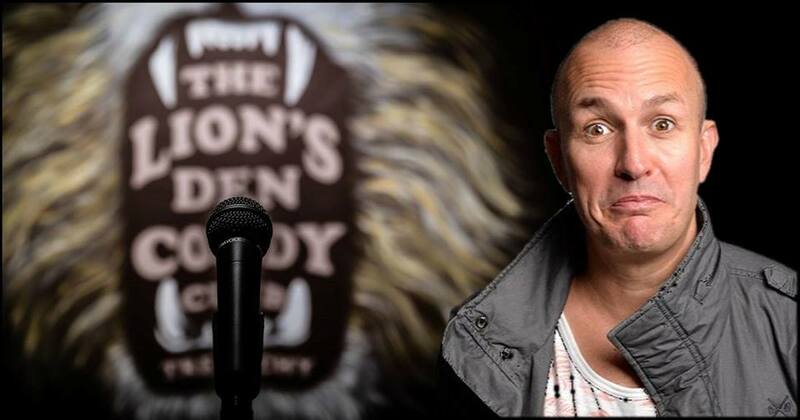 Local lad Drew Taylor is the regular MC upstairs for the monthly comedy nights at The Lion, Treorchy – and his affable manner glues the pieces of this joke jigsaw together. The Rhondda reveller makes the audience feel at ease and the call to ad-lib at regular intervals is met with his own personal panache. On each visit to the Lion’s Den outlet it is evident that Drew is growing in terms of charisma and confidence -and, long may this process continue as Mr T works hard in his attempts to join the A-Team of entertainers. Gloucester comedian Jon Wagstaffe got off to a bad start as he attacked my mate and I on arrival for looking like The Pretenders. Well, I can categorically confirm that neither of us look like Chrissie Hynde or any of her band for that matter. I think the uninformed performer may have meant The Proclaimers as he took a cheap shot as I wear glasses and was around in 1983 as he suggested (growing old does not come easy!). I told him to leave us alone and he was wearing a Cliff Richard tour t-shirt which he obviously thought was a reason for irony although ironing was called for here! From that point on he did have a number of witty moments especially when on the subjects of parental issues and personal relationships but as regards music he is obviously not on the ball. However, for energy and enthusiasm this 34 year old, twice married merchant has had a raft of experiences which can afford humour aplenty. Sheep and Mash followed and their unkempt appearances make for an initial quizzical look from the assembled throng as the two piece head in to an act that appears deliberately obtuse, unrehearsed and random. A mixture of unusual songs about subjects such as dressing gowns spring to the fore and it is all a tad intentionally ‘so bad it is mad’! The duo bond with punters and a surreal slice of off the cuff bluff stuff makes for half an hour of Chuckle Brothers ‘from me to you’ type farce. The main act Brendan Burns could charge the national grad with his machine gun etiquette. WOW! Do not blink – because by the times your eyes open and close this one man Australian aural artillery will be half a dozen strides on. This is not a show for the fragile, frigid or frail – and, if you are easily offended – you will not be amused! However, in the context of an assessment of the contemporary world both inside and outside of our windows this Antipodean arsenal can be immensely funny! This is not an act for a church fundraiser but then again it is Saturday night not Sunday morning – so everyone here is battle hardened for mirth that comes from the deepest, darkest areas underneath the bed sheets!?! @ The Lion, 102 Bute street, Treorchy, CF42 6AH. World of Words at John Lewis. The Globe Proudly Presents…Tragedy: An All Metal Tribute To The Bee-Gees And Beyond!